There are millions of people living with chronic pain in the U.S., but often their voices are silent. They are too busy dealing with the everyday challenges they face as a direct result of their pain. Because it is important that their voices are heard in the midst of their struggle, here are nine things that chronic pain patients really want you to know, followed by six things they really want to thank you for. Chronic pain is like motion sickness. Some people get nauseous just thinking about driving in a car on a winding road. Others could scarf down a greasy burger and sail a boat on choppy waters without any tummy rumbles. Just as it is hard for someone with an iron gut to understand someone with nausea, it is hard for those not suffering chronic pain to understand that it hurts, every day. Some days less than others, but it doesn’t quite go completely away. When they call and cancel plans at the last minute again, it’s not you. It’s the pain. They will do the best they can to schedule time together during their best times of day, but sometimes even during those times they are exhausted from a night spent tossing and turning or a morning of getting the kids off to school. In the past decade there was a spike in opioid use, and people did suffer rising rates of dependence. Now, that trend is reversing and doctors are prescribing less, choosing complementary medicine, choosing other prescription medicines, or monitoring out use very carefully. Sometimes chronic pain patients take opioids, but that doesn’t mean they are dependent. Chronic pain is an “invisible illness.” Sufferers don’t always use crutches or a cane or a wheelchair, so the dirty looks they get when they park in handicapped spots with their handicapped tag are not necessary. On that day, they may be physically incapable of walking farther than the ten feet from the car to the store entrance. Don’t make it worse. They worry that it is interpreted as weakness or wimpyness. Sometimes people make jokes about it, not knowing that it is a point of sensitivity. Sometimes the pain is so intense that their bodies shut down completely, and they may fall asleep. They may sleep all day, wake up feeling better, and then overdo it and land themselves in the same place. But know that they want to be productive, working, contributing members of society. And when they feel good, they are. It may be exhausting, but when possible, chronic pain patients take extra care to dress well and seem as if they aren’t feeling as awful as they may be feeling. 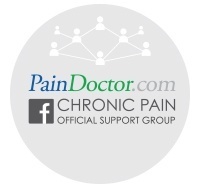 Sometimes chronic pain is a result of physical nerve damage that cannot be helped with an essential oil. Although your health suggestions reflect your concern for your loved one, on the very worst days they may not go over well. Since knowing these nine things can be hard to comprehend, here are six things that chronic pain patients really want to thank you for doing so well. We turned to Twitter and the hashtag #chroniclife for some insight into what chronic pain patients appreciate most about their friends and loved ones. Or really, any food that they did not have to prepare for themselves or their family when they were feeling poorly. You could stock their freezer with crockpot meals or just drop off a few meals or snacks for the ‘fridge. Knowing that you are a steady support system on the best days as well as the worst makes chronic pain more bearable. Your understanding, even if you don’t fully get it, helps your loved one with chronic pain get through every day. @TeenyTwoTimes says that what she appreciates most is, “Their patience, understanding, empathy, when they give me an extra push, & they don’t give up on me.” It can be hard to read when that “extra push” is appropriate and when it is too much, so ask if you need to, and stay patient. Jantien, aka @ThisOneNerd, writes that: “They feed me when I can’t move. They make sure I don’t feel guilty that I can’t help with chores.” Chronic pain patients can feel a tremendous amount of guilt for “not doing their part.” Loving assistance when the pain flares up can be very good thing. Friends and family play a vital role in the treatment of chronic pain. If you are a caregiver, what questions do you wish you could ask? And if you are a patient, what do your friends and family do really well?